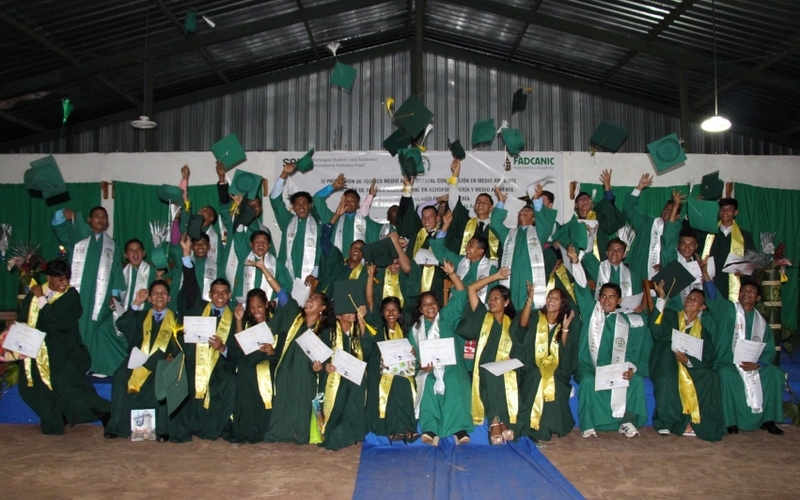 37 youth celebrate their avaited graduation at Wawashang, deep in the Nicaraguan rainforest. Coming from a background of extreme poverty and high drop-out rates, access to education will open new doors to their future. The graduation ceremony at Wawashang, was simple but solemn and emotional. Thirty-seven students received their certificates and are now able to work. Eighteen graduated as técnico médio, and accumulate both a bachelor’s degree and a technical certificate. They will be able to continue their studies at the University of the Autonomous Regions of the Nicaraguan Caribbean Coast (URACCAN), with full scholarship. In other words- from school drop-outs to future agroforestry engineers. Bridging the education gap of this youth generation is the central mission of the Centre for Technical Education on Environmental and Agroforestry in Wawashang. The school is situated on the Caribbean Coast of Nicaragua, and run by FADCANIC, one of SAIH`s partner organizations. In 2017, FADCANIC and URACCAN, with support from SAIH, entered into a partnership. The goal was to grant students graduated as técnico médio in Wawashang, free access of to the university. For URACCAN, students coming from Wawashang are valuable assets, as they combine theoretical knowledge with a strong hands-on approach. Luis Manuel Solano Bermúdez is one of the students that will go to URACCAN in 2018. Coming from El Tortuguero, a municipality where 87 % of the population lives in extreme poverty, Bermúdez arrived in Wawashang when he was 12 years old. Abandoned by both parents when he still was a small child, Bermúdez was raised by his godmother, who moved from El Tortuguero to Pueblo Nuevo (near Wawashang school) in search of education opportunities for her godson. 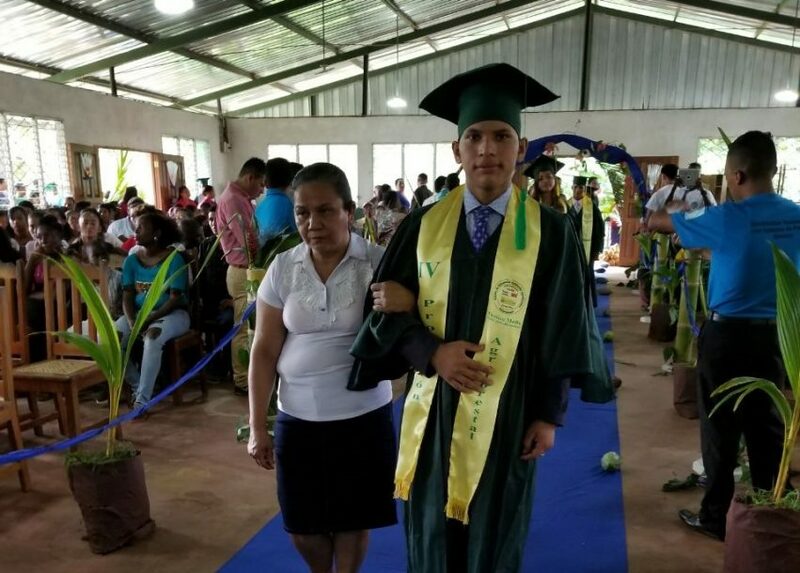 With determination and discipline, he completed the technical course in carpentry (3 years) and subsequently entered in the agroforestry technical course (2 years), of which he now graduates as técnico médio. Bermúdez was even pointed out as the second best student in his class. Holding two technical degrees, plus a bachelor, Bermúdez has big plans for his future. 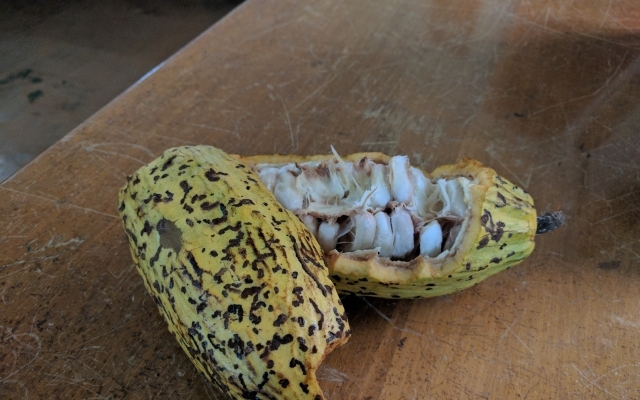 In addition to study Agroforestry Engineering at URACCAN from Mondays to Fridays, he intends to take a certificate in both English and Math on the side, using his weekends. Iliana Yanira Bendiss is the oldest of five sisters, living with her single mother in an Ulwa indigenous community, in the municipality of Desembocadura del Rio Grande. Here, 86% of the population lives in extreme poverty and illiteracy rates among women are over 36 %. Her mother had for a long time opposed her studying, as she needed the daughter’s help to make ends meet. After being persuaded by friends and relatives, she eventually agreed to send Bendiss to Wawashang in order to invest in her technical formation. 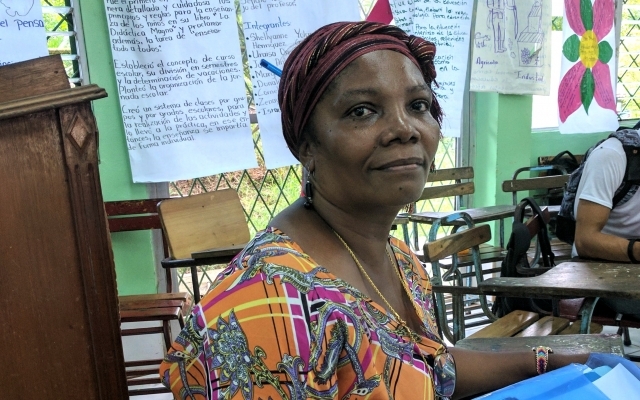 She enrolled in the career of técnico médio in agroforestry when she was 17 years old. 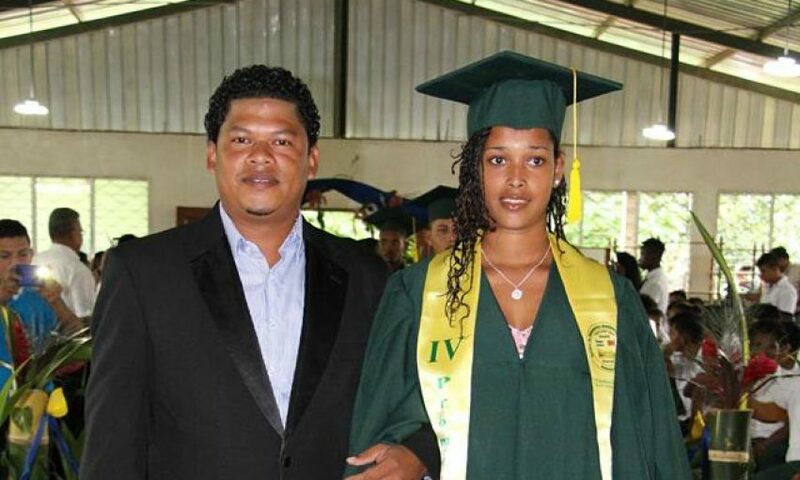 Now, at the age of 19, she managed to graduate and is also ready to go to URACCAN next year, together with Bermúdez. Like Iliana and Luis, many young men and women have found in Wawashang a safe haven to develop their potential. Given the opportunity to invest in their education, they have the tools to break the poverty cycle and open new doors to their futures. SAIH is proud to be part of this history, and little by little, change the destiny of this young generation.